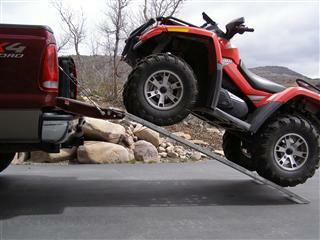 Rider Tailgate Lowering Links reduce the steepness of loading ramps commonly used to load motorcycles, ATV's, UTV's, golf carts and lawn tractors making it easier and safer to load them. 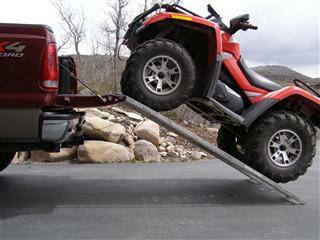 Rider Tailgate Lowering Links make it easier to load lower ground clearance items, such as lawn tractors, because the break-over angle where the ramps are supported on the tailgate is reduced. In most cases, the installation of Rider Tailgate Lowering Links requires no modification to your pickup and does not alter its appearance. Rider Tailgate Lowering Links are easy to install and remove. If required, the Bumper Relocation Brackets lower the bumper about 1" and does not interfere with the spare tire lowering mechanism. Copyright 2019 Rider Tailgate Store.